SAAB cult. Get in with the Saab 9000 CS. Today you would not build such a car anymore. The Saab 9000 combines Swedish engineering with an almost Italian elegance and nonchalance. The best of two worlds would drive some marketing departments to madness today. But almost 30 years ago, things could be realized that would no longer be debatable today. The Saab 9000 is based on the Tipo4 platform, created under the leadership of Saab and Lancia and the unlucky quadruplets Saab 9000, Lancia theme, Fiat Croma and Alfa 164 on the world. While Lancia, Fiat and Alfa are almost forgotten, the 9000 is more alive than ever. The 1992-released Saab 9000 CS, designed by an external English design studio, is, according to Sweden, the second generation of the 9000 series. The first generation, the 9000 CC built from 1985, is rare today, and very good specimens are in collector's hand. This includes above all the first turbo generation. Our focus is therefore on the 9000 CS. The 9000 is the final construction of the Saab-Scania era and Saab's first contribution to the upper middle class, as it was said so nicely back then. The Swede with southern elegance is an exceptional car and a classless one. Even today, he dresses his owner well, like an Italian bespoke suit. Not too much, not too little. Just sitting well. 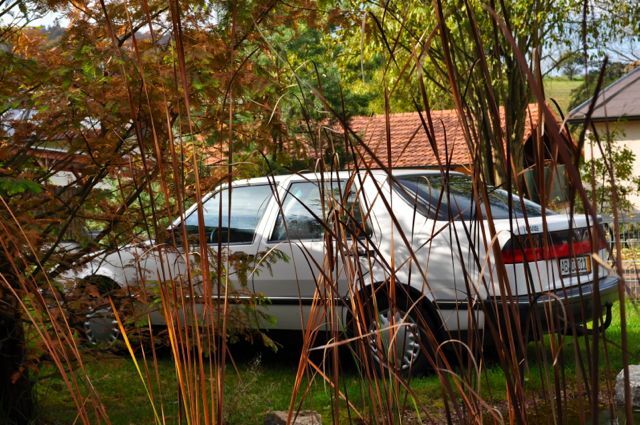 He transported the genes of the classic Saab 900 into a higher class and a new decade. The Saab 9000 is very fast, because up to 224 PS meet a lightweight with a maximum of 1.450 kilograms. A full-blown luxury sedan in the weight class of a VW Golf! The 9000 is versatile, with a huge tailgate giving access to a large cargo compartment with fold-down rear seats. Hatchback in the luxury class. Today, manufacturers lack the courage to do so, which is unfortunate. It has space without end, because it has a revolutionary interior ergonomics. The 9000 has more width in the interior with less vehicle width than its successor. 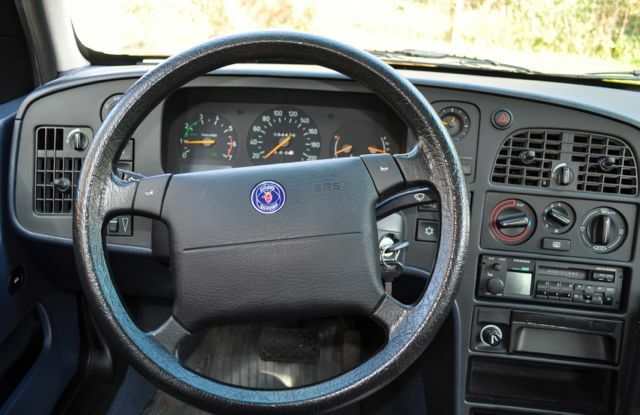 The Saab 9000 was for the cult manufacturer, the squaring of the circle, and one can say: Operation succeeded! But some things are too good and can be a problem. The 9000 became it for Saab when the successor appeared. The few wanted to swap their hatchback for a notchback sedan, and those who drove an 9000er often stayed with them. The problem that Saab experienced during the generation change from the 901 to the 902 saw its comeback. For us a chance, but more on that later. Some think the 9000 is the best car ever to run on Saab bands. There can be something in it. With the backlit cockpit in the jet design, presented in a phase when BMW, Mercedes and Co lit the instruments from the front with small bulbs, Saab attracted attention. Aircraft construction was not a marketing slogan, real knowledge flowed from the jets into the auto division. Awards for exemplary ergonomics and the entry of the 9000 into the design museums of this world were the result. Nice little details, such as illuminated buckles in some versions, at a time when ambient lighting was a foreign word, rounded off the look. That the 9000 2.3 Aero showed the taillights in the intermediate sprint to the Ferrari F40, was good for the turbo-image and made the 9000 a coveted object and understated sports car. Can a Swede be eccentric? He can, and the 9000 is proof of that. As an option, instead of leather or velor, there was a woolen outfit made by Italy's luxury weaver Ermenegildo Zegna. That wool is cool in summer and warm in winter was the logical background to this seemingly eccentric decision. Saab 9000 CS interior: purism, cool forms, pure function. In Sweden, the first complete restorations are running, and the 9000 is considered the coming classic. 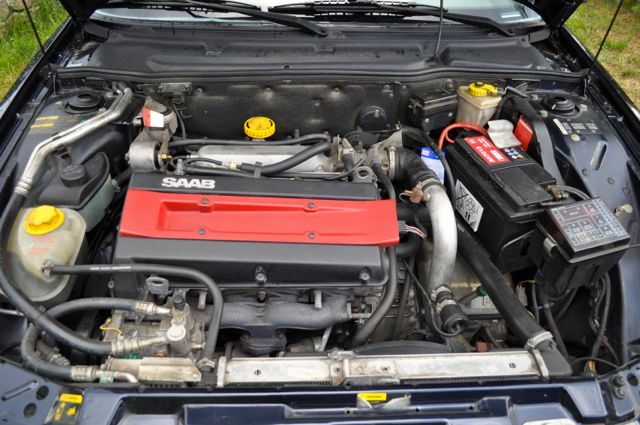 The range of engines is plentiful for Saab conditions, there are Saab naturally aspirated engines from 128 to 145 PS and Saab Turbo engines to 224 PS. In addition a 3 liter V6 from the GM shelf and two equipment levels as CS and CSE. A cool and timeless hatchback, which is still suitable for everyday use. The 9000 is, as written, an exception Saab. The first customers knew that. They were exceptionally loyal and that has consequences. It's crazy, but it's reality. The most recent 9000ers are now 15 or 16 years old, and there are still first or second hand copies. You will find what you are looking for first and foremost at the traditional Saab farm. Often one has carried out there the first delivery and then the vehicle maintained. 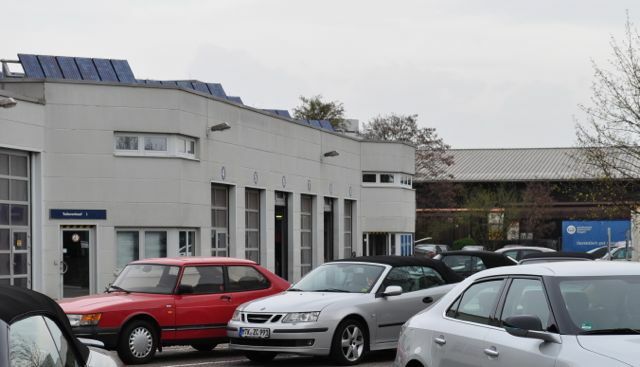 Also in Frankfurt, on the site of the former Saab factory, the team from Saab Service Frankfurt accompanied the 9000er from new cars to classic cars. Checkbook-maintained copies, which were sold by the senior manager as a new car with verifiable Saab history, are still feasible today. Not always are these treasures advertised on the internet, and a friendly request can help the seeker. Often the dealers also know an older owner who would give his Saab in good hands. The 9000 was and is designed as a long-term car. The engines are good with good care for half a million kilometers and more. The machine should present itself in the dry state. Turbo hoses can be old and leaky and you should plan a swap. The revolutionary Saab Trionic, she premiered in the 9000, is reliable and mature when using original parts. Because there are now the Zündkasette as a cheap replica of China - in poor quality. As always, it is important to pay attention to a good body condition. While there are spare parts from the original source for small money in the mechanics, work on the body can be expensive. The 9000 does not have a rust problem in the traditional sense, but there are some critical areas. Typical weaknesses are the rear wheel arches, and also under the rubber seals of the tailgate and the lock receptacle lurking rust. The frame of the windshield can be affected by moisture penetrating. Doors may not necessarily be a weak point. Copies from model year 1995 are much more resistant, whereby in my experience, the treatment by the previous owner is the rash about the condition. The interior is sturdy with a sympathetic because honest mix of leather, wood, textiles and plastics. The fabric inserts on the door panels resent poor handling, and with rare color combinations replacement is not always easy to find. The mice cinema of the typical 80er years like automatic air conditioning should work like the whole system without problems. It's amazing what's in Nyköping for the 9000 still in stock. The Saab Parts AB provides a lot at a reasonable price, and the Saab Traditions partners are well sorted. A workshop with Saab experience is important and the Saab Helpdesk in Trollhättan also has one or two older Saab employees with Saab 9000 backgrounds. With many possible problems the workshop chains are overwhelmed, and therefore the 9000 belongs in knowledgeable hands. Accordingly, he is just as suitable for everyday use as a new car, just 20 years old and with much more individuality. The price trend is inconsistent. Only for good 9000er they rise for some time. The emphasis is on "good". This is due to a shrinking supply and the increasing acceptance in the youngtimer scene. 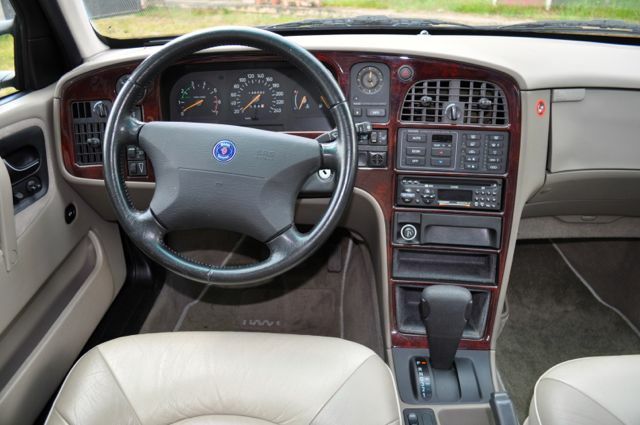 Driving Saab is cool, and so does the 9000. Although again and again, here on the blog, the reflexive "too expensive" falls, the market teaches us that even 10.000 Euro or more for exceptional copies are paid. That's good, because it ensures the preservation of 9000ers in the long run. Investments need to be real, and the times of cheap ones will be over sometime. A cheap entry and a fabulous first-hand copy from pensioner hand is still possible with a little luck. If it is not a turbo with leather on CSE level, then there are beautiful 9000 CS with naturally aspirated already between 2- 3.000 Euro. Good turbos start a little higher, and depending on the condition and equipment everything is possible. If you want to get low, you buy a 9000 CS or 9000 CD - the unloved notchback version. These wood class variants also have a lot of Saab charm and features that are not miserable. With the higher CSE level you have air-conditioning and high-quality leather on board. Real wood in the interior is widespread. Rare and sought after is the complete wood trim with panels on the doors, dashboard, gearshift gate and cover of the storage compartment of the center console. The retrofitting of missing parts is eliminated, because wood is a natural product, and there are therefore color differences. Especially popular are Aero versions, which are rare because they were often used in hard everyday use. Collector status is provided by 1997 Anniversary models, which differ from the series in their imprinting of the aircraft logos in the leather seats, other rims and other details. A jubilee model is trading at a premium to the series, and 1998 also kicked off "real" Anniversarys. Whether you have a real Anniversary in front of you, a look clarifies the Erstauslieferungsnachweis in the service book. The wallflower among all Saab 9000 variants is the 9000 CD Griffin. With 3 liter V6, opulent equipment and huge trunk a kind of insider tip for those who like it. Because the Griffin is forcibly married to the V6. This comes from the GM shelf and is - it was feared - both beaten with a timing belt and not turbocharged. Avoid tuned versions with unclear background and especially with automatic transmission. The ZF-supplied 4-gear automatic harmonizes very well with the turbo technology, but is limited by the torque. Saab therefore limited the 9000 Aero automatic to 200 PS, which still provides ingenious performance. Wild tuned specimens may overload the gearbox and cause costly damage. However desirable - but very rarely - are in the performance increased copies of Saab factory tuner Rene Hirsch. Every now and then one comes on the market and is just as quickly sold again. If you are looking for, you will sometimes find what you are looking for in Switzerland and if you are successful, you can be certain that you own something like a unique piece. 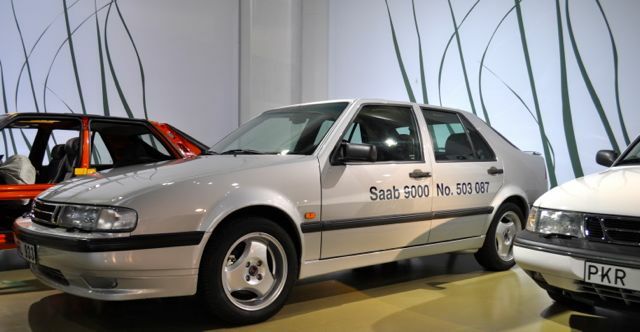 In the Saab Museum: the last 9000er after 503.087 copies. 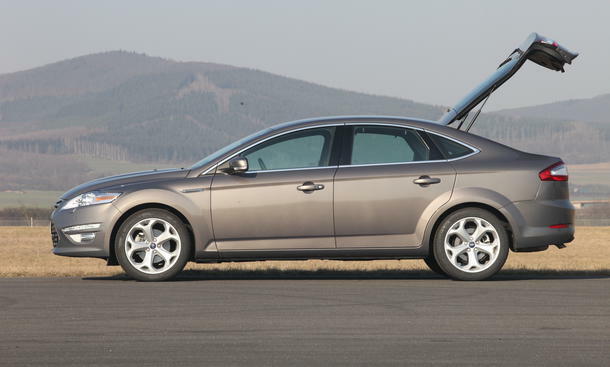 Harmonious and an insider tip is the 2.3 liter, which is moderately turbocharged with 170 PS. The performance is appealing, and due to its light weight, this Saab can also cause confusion with intermediate acceleration in the company car drivers. If you do not want a vacuum cleaner and a reasonable, robust turbo with low maintenance costs, then the 2.0 liter soft turbo with 150 PS will serve you well. The 9000 offers car for every taste. Power hungry people resort to full-turbo, cool calculator to soft-turbo or sucker. If you are looking for luxury, you will find it at the CSE. Purists who value timeless forms, function and a clear shape will be happy with the CS. The great thing: it is always a Saab! Always fast, always beautiful, always practical, always individual! And for a small price. Looking for intelligent solutions? The 9000 is the other Saab. Inside big, compact outside. Transport potential and comfortable leather armchairs that encourage cruising. Addictive turbos and strong suckers. Those who do not run with the herd will be happy with the 9000 for a long time and may not drive another car. + Boarding. For those who have not had anything to do with the Saab brand before, the 9000 is the ideal entry-level drug. Caution: Addictive! - Get out. Because the ignition is in the wrong place. + Insider tip. The accountant versions. Often meticulously maintained. We did it. A white 9000 with blue interior. Just awesome. + Cult ranking. Younger than the cast iron fraction. A car with a future. ← SAAB auction. Fire department command car. 13 thoughts too "SAAB cult. Get in with the Saab 9000 CS." Well written, Tom! It fills me with pride and joy to own this 2,3 t with only 23.460 km. As a second car, he enjoys Cabriostatus. Incomparable car! This 9000 CD was my first one but I drove several of the 9000 CSE; This determines what the finest Saab I ever drove meal. very good article, thanks! Can I still suggest a small correction? The 9000 2.3T won in the intermediate sprint against a Ferrari - but against the Ferrari Testarosse (12 Zyl., 390 PS), not against the F40 (V8 Biturbo). Even an Aero would not have had any cuts against it. Nice article to the 9000. I've spent a lot of time with my 9000 CS (Joe) in northern Germany over the past few weeks, the rides are flying by and I always think at the finish line: "it's a shame that 200-300 km could have been more". But then I'm looking forward to the trip home after a stressful day, which is usually too short ... 9000-driving is just relaxation and enjoyment! Great article that rightly praises the 9000 CS! And visually also in the year 2013 a timeless pleasure! At the beginning of 1990 at my local SAAB dealer, I drove my 900 dream to trial - and was disillusioned. Although the exterior and the sound were right, the driving feeling made me miss my Opel! The dealer then suggested that I should please drive the 9000 CS to trial ... .. and that's what happened to me! The exterior was perfectly timeless for the time, the interior (better than Tom's description is not) and the engine full (2.0 Turbo)! Then it was clear: the next car will be a SAAB! And that's how it happened ... and stayed until today! Good article. The paragraph about the wallflower I can confirm and my "better half" has become an appreciative "actually a nice car" can be misled. Unfortunately, the 9000 is subjectively too big. Easter was again "Griffin-Time", unfortunately only briefly, but on the 01.04. hibernation for our 901S Convertible was over. For a long time sunshine open again crucifix.Herrlich! - Eros are rarer than the "normal" 9k, but aeros are always offered. However - and that is an individual feeling - I find the "normal" 9k just as comfortable and the shoulder glance does not disturb the "ears" at shoulder level. 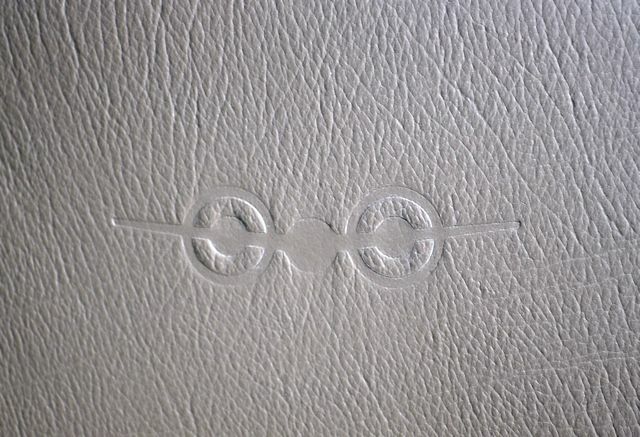 In addition, the "normal" 9k in the rear seats can also reasonably flip over without squeezing the leather too much. In addition, in the Aero rear only 2 persons can sit. That's why I would rather recommend to a 2,3FPT and who then needs even more horses, can in no time retrofit a "redbox". This gives you a 9k, which is more practical and above all more discreet than the Aero, but in no way inferior in the performance. - With regard to the consumption, the 2,3FPT hardly differs from the 2,3i in a sensible driving style. This is noticeable when you drag a lead foot around with you. In this respect, one can cruise with the 2,3FPT economical - because the 9k is my opinion a rolling sofa - and if necessary drive away representatives of the TDI Group. If you want to save even more, you can upgrade to LPG. That's worth it, because it is almost as economical as on the road with new cars on diesel - apart from the purchase price. All in all, the 9k is an individualist car that lovers deserve - just like the 900. You do not have to shy away from repairs, because Saab has the most loyal followers and, on the Saab forum, the most helpful drivers to help you with any little problem. ... and qualified specialist workshops are not found around the corner like other manufacturers, but there are plenty of them.